Please feel free to download ‘PCB hints and tips’, which offers advice on materials, track / space, drilling profiling etc and a list of information that should be provided to your PCB supplier. 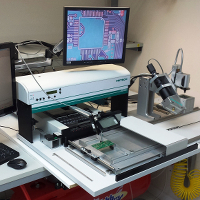 Far East manufacture can substantially reduce costs especially for multi layer and flexi PCBs. 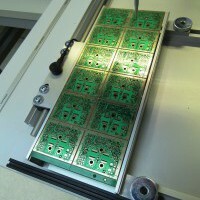 All PCB data is validated at our Gloucestershire premises before being sent for manufacture. We check (and offer advice on) many aspects of production such as copper weight, plating, copper to copper spacing, drill to pad spacing, profile clearance, mask clearance, silk screen clearance etc. All gerbers are re-exported with comprehensive build instructions to form a complete manufacturing package for the factory. We have been involved in Far East manufacture since 1996. Our main PCB factory has supplied us since that time. All our factories are ISO9001 & UL approved. Typically 2 – 4 week plus transit (by courier eg Fedex, Air Cargo or Sea Cargo). We currently build PCBs ranging from simple single sided through to 8 layer 1.6mm fine track / space. All standard finishes and ROHS compliant by default.